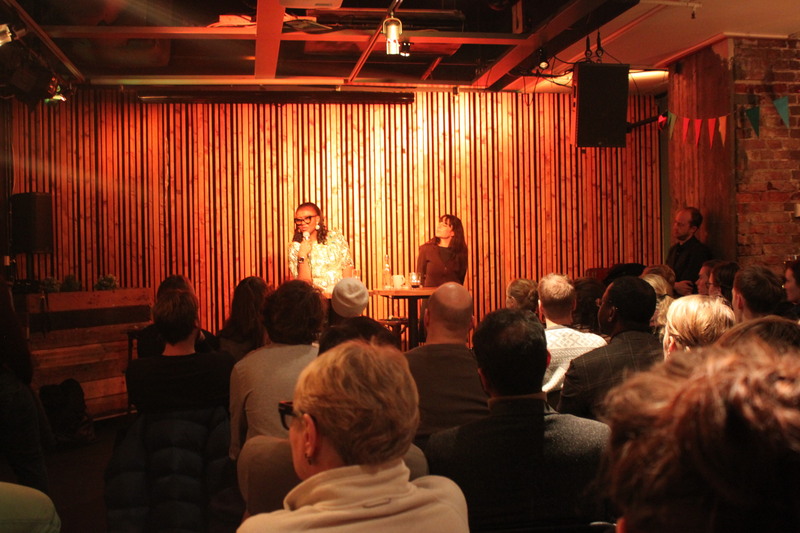 SPACES FOR CHANGE’s Victoria Ohaeri was the guest speaker at an international seminar on urban displacement organized by the Norwegian Council for Africa, in Oslo Norway, on January 24, 2017. British-born Jeff Forbes moderated the discussion and debate between Victoria Ohaeri and Fabienne Hoetzel, an urban expert from Switzerland. Situating her presentation within the context of the exploding urban population in Lagos Nigeria, now over 21 million people, with two-thirds of the population living in the slums, Ms. Ohaeri provided a background to the challenges of city development and urban renewal in Africa’s largest city. One important finding that cuts across urban development interventions in the state is that the poor – especially those living in the slums, hosting urban development projects, who live with, and understand the problems of urban deprivation and degradation – are hardly consulted nor their views critically studied or analyzed. Their experiences, economic conditions, local knowledge and perspectives are almost never sought, recognized or taken seriously in the planning and implementation of developmental program that bear directly on their welfare. This exclusion not only creates mistrust, but also fuels a major disconnect between project implementers and the proposed project beneficiaries. For the slum populations, they perceive government’s city development programmes as as a calculated plot to use the state apparatus, intimidation and violence to tear down the hovels of the poor, and then, hand over the dispossessed land to those who have the resources to transform blighted landscapes into luxurious accommodations they cannot afford. Implementers, on the other hand, want cities to look more beautiful and more attractive to local and foreign investors, even if it is at the expense of massive social dislocation and suffering. Ms Ohaeri listed several triggers of urban displacement in Nigeria. They include private business interests, foreign investments, donor assisted programmes, public private partnerships and so forth. She cited several examples that suggest a well-established practice of handing over ancestral lands, rural farmlands and land spaces in informal settlements, to private businesses without reference to the owners of the land. Large swathes of land acquired in this manner, mostly from indigenous communities, are transferred to companies, including the political associates of the ruling class to advance their private business pursuits. The only whiff of indication that locals or poor residents have about the portending displacement is when they begin to notice the persistent presence of intruders on their farmlands, either clearing, taking measurements or mounting pegs thereon. Similarly, land transactions involving foreign investors have increased in West Africa over the past 10 years, with over 100,000 hectares documented in Nigeria alone. She cited a number of examples that can bear to a growing legacy of land grabs influenced by external business interests and actors, conducted under the guise of foreign investment. Foreign companies and businesses are the major beneficiaries of these land confiscations, decimating the livelihoods of both the urban and rural poor populations. The prospects for externally-influenced displacements are enhanced when regulatory policies are relaxed to ease investment inflows, foreign business operations, and of course, land grabs! The Nigerian urban landscape is also littered with state-sponsored displacements linked to the implementation of donor-assisted interventions related to slum upgrading, flood control, land reclamation, water provisioning and so forth. Usually implemented in collaboration with federal and state governments, donor-assisted programs are framed around the objective of “development”, geared towards improving social economic and living conditions in the targeted areas. They are also diverse in scope and impact, and anchored on guiding frameworks that expound a principle of avoidance of forced relocations and provision for resettlement. Despite these instrumented commitments, donor-assisted programs have been plagued by widespread reports of human rights violations, especially mass displacements. 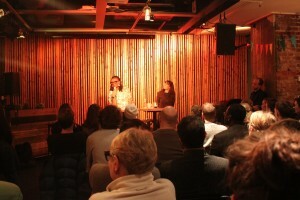 Prior to the seminar, Ms. Ohaeri met with the leaders of major institutions in Norway such as the the Norwegian Council for Africa and the Norwegian Institute for Regional and Urban Research, where she discussed the work of SPACES FOR CHANGE, identifying actionable collaboration opportunities. For SPACES FOR CHANGE, the visit to Oslo serves as an important step toward deepening the cross-border discourse on urban governance, while working to amplify our individual and collective impact.